There are lots and lots of “did you know” facts on the pages, I will quote just a few. The weight of all the plankton in the oceans is greater than all the fish, dolphins and whales put together. Sea otters sometimes wrap themselves in kelp. They use this as an anchor so they do not drift away as they sleep. At more than 30 meters long, the blue whale is the world’s largest animal. It is a baleen whale. This giant lives by eating tiny marine organisms and can eat 40 million krill a day. Overfishing of sharks is causing “desertification” of coral reefs. This is when the coral dies, and turns white. Without sharks, the balance of the reef is changed. Huge algae blooms can grow that stifle the coral. The book mentioned briefly a few facts we already knew, as D is a shark geek fan and honestly collects sharks teeth. He even wears one as a necklace charm. Anywho, the book briefly mentions that sharks have an “extra sense”, this extra sense is a sensitivity to electro-magnetic changes. In their normal everyday life this means they can not just hear heartbeats if close enough, but will feel the tiny electro pulses a beating heart makes, very handy if you are a hungry shark as you can grab creatures like crabs or flatfish hiding just under the sand. Freaky. The sad fact I notice mentioned briefly is Shark fin soup. Sounds harmless right? After all most of us eat fish, why not the fins? The way the fins are taken is the problem, from a live shark, that is then thrown back in to the sea to die. We made a promise in an aquarium once, to a very enthusiastic young man doing the sharks speech, that we’d never ever ever eat sharks fin soup. Never have, never will. So again we knew this, but much of the book is new to me. It is written in a child friendly way, easy to understand with photos and lines pointing to the section of the photo that the words are explaining. Overall I would give this book 9/10. 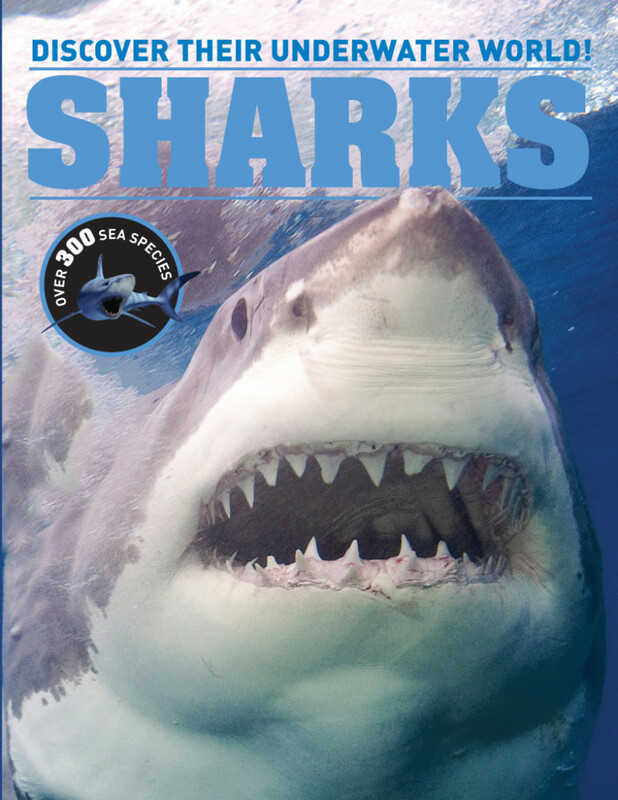 It’s a great book for the age range (8 to 12 years in my opinion) and briefly covers many species and information relating to sharks, their habitats, food chains and threats to sharks. This information in some cases seemed slightly too brief which meant D got out his Nexus 7 tablet and searched online in more detail. 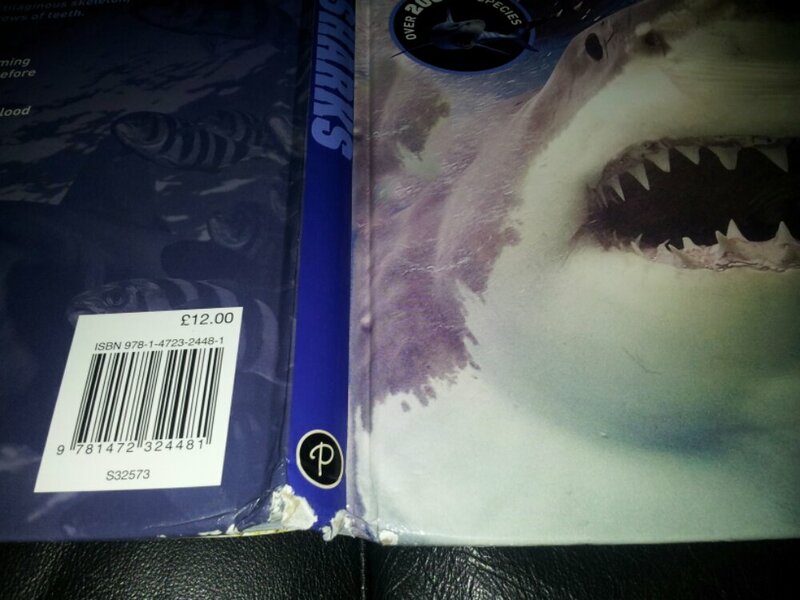 Perfect for a child that wants to learn lots of facts about sharks, and can also be dipped in and out of, rather than reading cover to cover in one go. This has been used for school homework, and his official school reading book, as a younger brother repellent, and as bed time reading. Personally I wouldn’t recommend it as bedtime reading, all those teeth might cause nightmares, but D does hug a Bruce (from Finding Nemo) teddy in bed! He might not be your average child. Disclosure: We were sent this book free of charge for the purpose of this review. No payment was received or expected, and our opinions are our own.